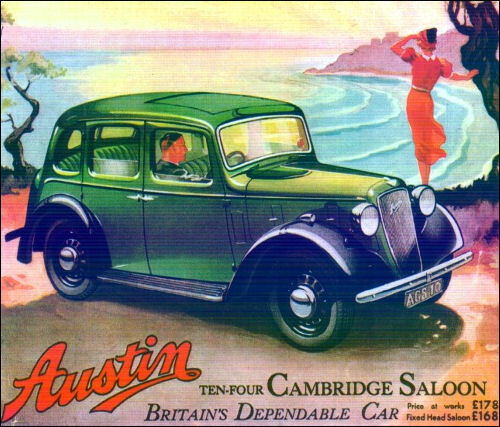 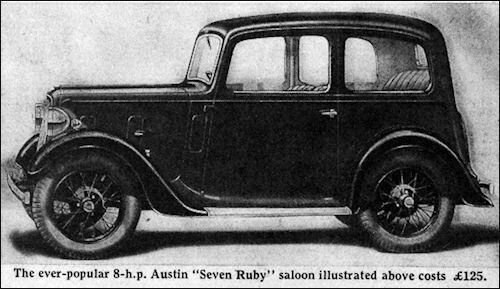 Austin Ten is available as Saloon, named Cambridge and Cabriolet, named Conway. 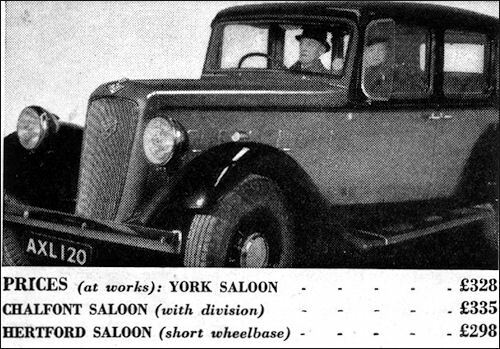 The latter is similar to the saloon, except that the roof portion could be rolled back from windscreen to boot. 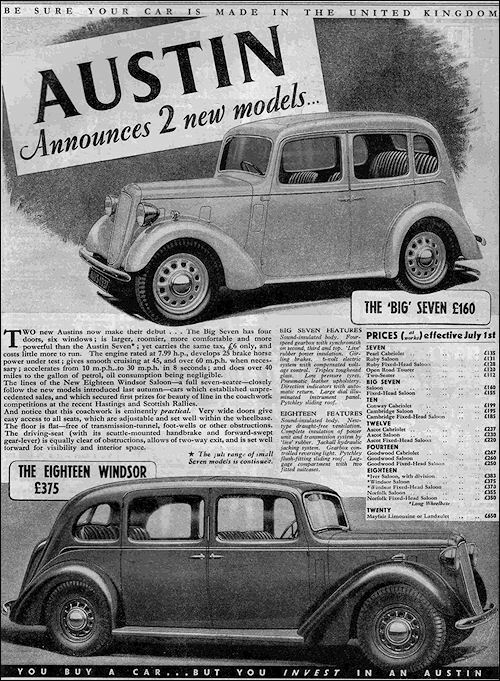 They have a 21-bhp 1125-cc side-valve engine and four-speed gearbox. 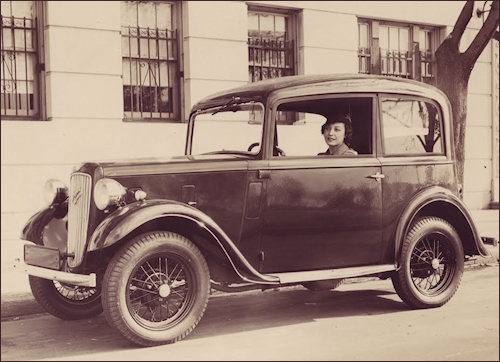 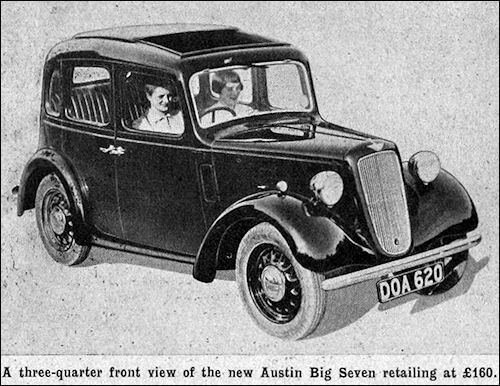 With the exception of the 7 HP models, all Austin cars have pressed steel spoke wheels ('easy clean' type). 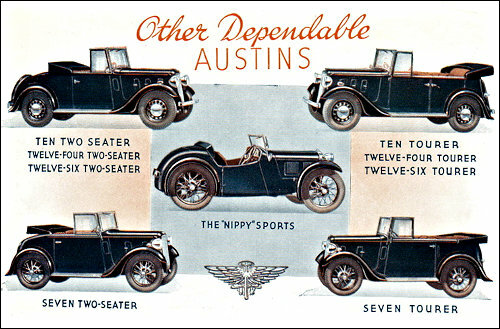 Ten models have 5.25-16 types; the similar looking but larger Twelves and Fourteens have size 5.75-16. 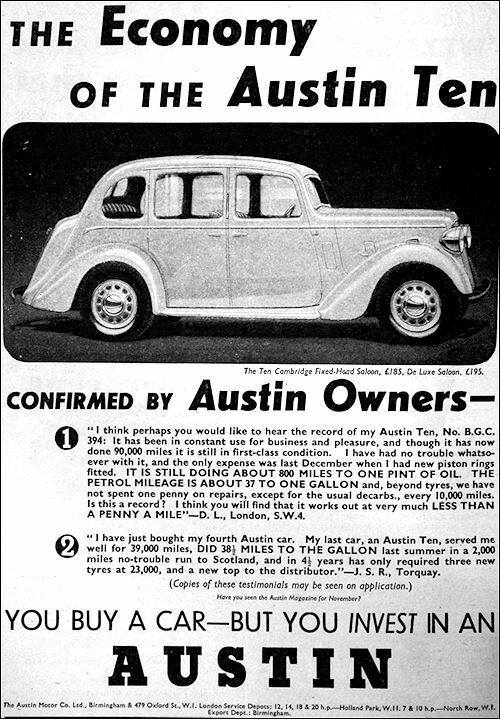 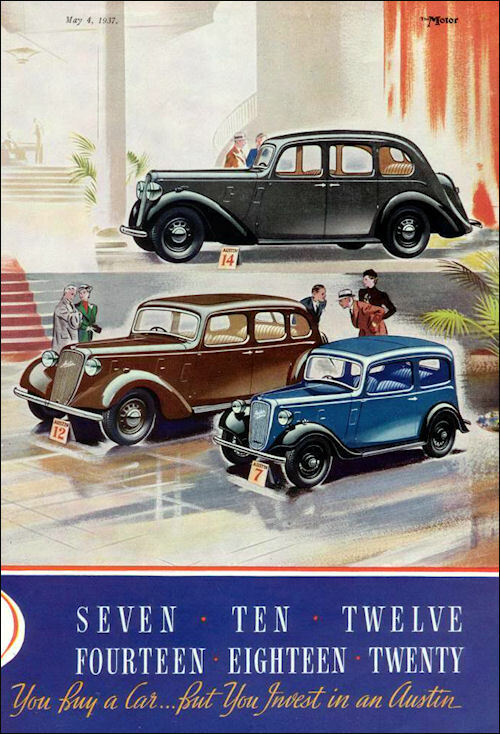 Austin Fourteen Series FR, is in production from August 1936. 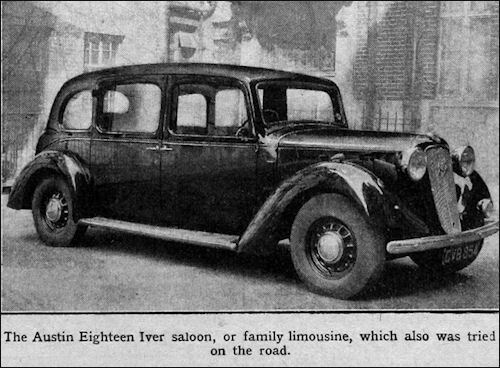 It have a 1711-cc six-cylinder side-valve engine, four-speed gearbox, 9 ft 3 3/4 in wheelbase and 5.75-16 ELP (extra low pressure) tyres. 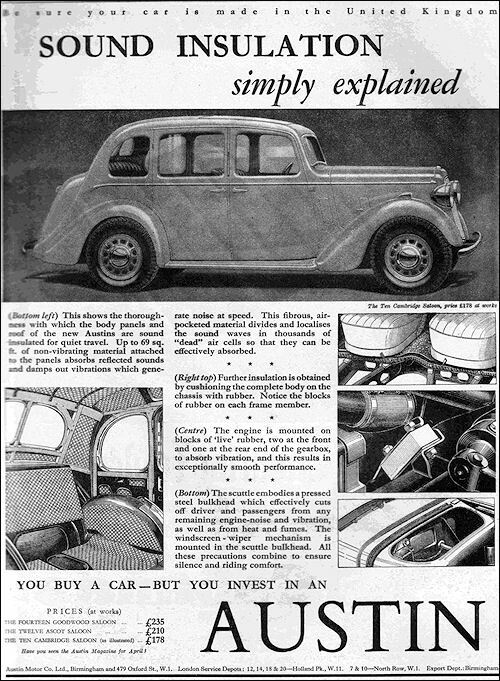 In September 1937 an aluminium cylinder head was introduced. 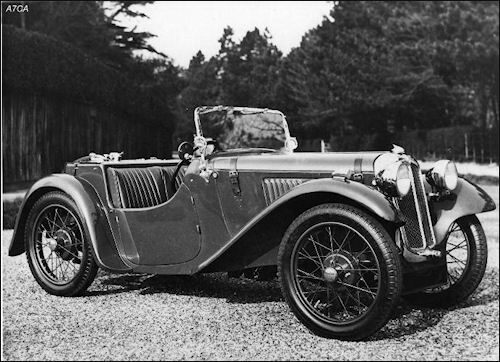 19-20.06.1937 24h Le Mans 3 3 0 55 Seven Petre / Mangan fail. 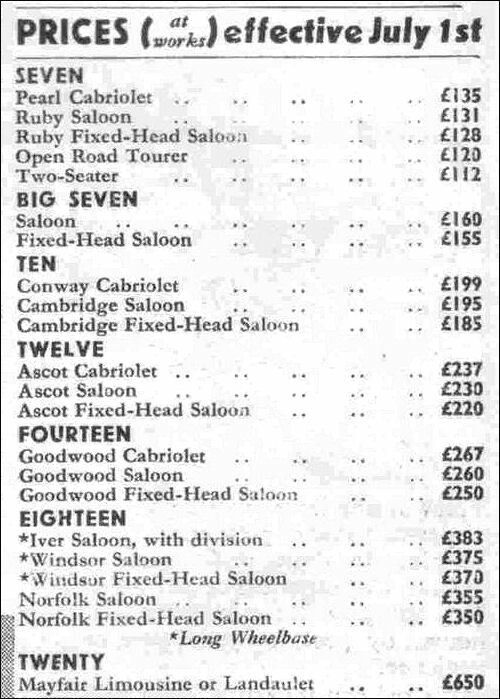 56 Seven Goodacre / Buckley fail. 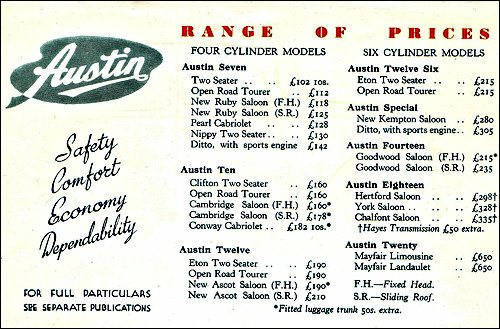 57 Seven Dodson / Hadley fail. 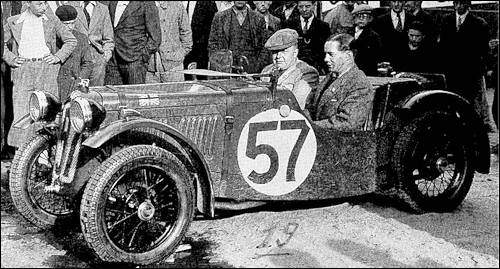 Austin Seven 'Grasshopper' 748 cc (Charles Dodson / Bert Hadley) at Le Mans.